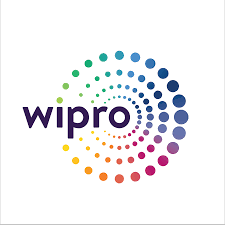 Wipro Limited (NYSE: WIT, BSE: 507685, NSE: WIPRO), a leading global information technology, consulting and business process services company, today announced that it has won the 2018 Nutanix Outstanding Innovation Partner Award. Wipro received the award during the Nutanix .NEXT Conference in New Orleans. Nutanix is a leader in enterprise cloud computing, headquartered in San Jose, California, whose solutions combine web-scale engineering with consumer-grade design to power any workload in multi-cloud environments. The award is in recognition of the outstanding efforts and collaboration Wipro has had with Nutanix over the past year. It acknowledges Wipro’s innovation in adopting Nutanix technologies to differentiate itself. As a leader in new age IT solutions, Wipro delivers data center solutions based on Nutanix technology, which combines the agility and simplicity of the public cloud with the security and control of the private cloud. Nutanix is built on the industry’s leading hyperconverged infrastructure (HCI) technology and integrates compute, storage, virtualization and networking in a full-stack solution that runs nearly any application. The solution offerings from the two companies deliver digital technology platforms of the future, thereby empowering customers on their digital transformation journey. “Wipro’s software defined solutions built on industry-leading technologies from Nutanix have helped us differentiate in the market. This award demonstrates the collaboration between the two companies to offer innovative solutions to our customers and enable them to thrive in this age of digital disruption,” said Kiran Desai, Senior Vice President and Head, Cloud & Infrastructure services, Wipro Limited.